Katie joined me in 2014, and we opened our new retail office space on Silverado Trail in 2015. As we grew, Susan joined the team January 2018. This change was liberating and gave us the freedom to focus on how we believe all clients should be treated. Working as a team not only allows me to have a fulfilling career helping others, but also grants me the freedom to be there for my family. I’m incredibly proud of the work my team does, and I’m gratified to be running a real estate business based on service, with a team committed to excellence. This career of being a real estate broker is a part of my DNA. In some fashion, I was genetically preordained to be involved in this wonderful industry. It really starts with my father’s history and even before that with my grandfather’s life experiences. Without them, my life would have turned out much differently. Back in the 1930s and 40s, my grandfather Mun On Chun was heavily involved in the Chinese community in Hawaii. When World War II ended, the lending practices of banks were highly discriminatory for immigrants of Asian descent. It was nearly impossible for an Asian to purchase a house, much less provide the financing for one. So my grandfather, along with other community leaders founded a company called Finance Factors as a solution for immigrant families to be able to finance and buy a home of their own. I am very proud of the fact that my grandfather was the anchor and catalyst for so many families to be able to realize the American Dream. My father carried on the family tradition of service and investing in real estate, and was a shining example of perseverance, sacrifice, and service to others. Thanks to him, I was able to witness business transactions in real estate while I was growing up, which inspired me to pursue a degree in business with an emphasis in entrepreneurship at the University of Southern California. I’ve followed my father and grandfather into the real estate industry, and have found the work to be truly rewarding! Being able to hand someone the keys to their first home is a magical moment, and I love hearing the stories behind houses and clients alike. 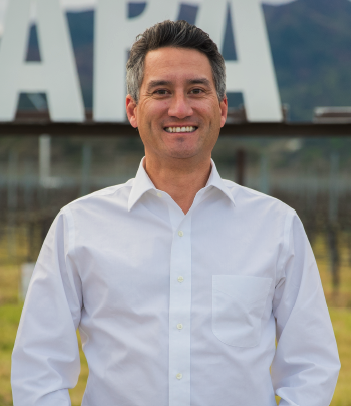 I can truly empathize with clients throughout every part of the real estate transaction, as my family and I recently sold our home in Napa and purchased a property in Saint Helena. My wife Ilse and I had met in Los Angeles, but quickly decided that it was not the place to start our family. Our daughter Lucy is a terrific little girl! She attends St. Helena Primary School, and loves Gymnastics Zone. 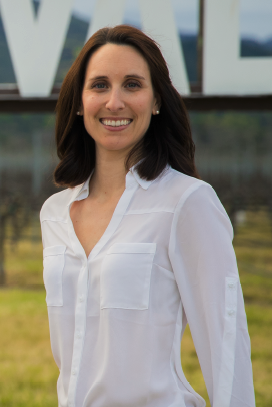 Ilse is a wine ambassador in the wine industry. She’s currently working with Schramsberg. As a member of the Napa Valley Country Club, I can often be found enjoying a round of golf. We also love to spend time as a family around the club pool, playing tennis or just hanging out. We stay busy with numerous groups in our town including the Napa Police Department Volunteers, Pathway Home for Veterans, and Napa Valley Vine Trail. I’ve dedicated myself to my community for years, both as a real estate agent and as a volunteer. I believe the two go hand-in-hand. Sacramento State University to pursue one of her passions—dance. While at Sac State, Katie met her future husband Thomas. An opportunity took Katie and Thomas to Colorado where they got married and started a family. It was then that they decided that investing in real estate was a good plan. Their purchase experience was frustrating with their real estate agent. In the end, they found a home through their own footwork, rather than their Realtor’s. Katie felt let down, but it gave her great insight into what makes and doesn’t make a great real estate agent. Shortly after purchasing that home, Thomas and Katie had their first daughter, Hailey. As she considered motherhood and what kind of role model she would be for her daughter. “Am I being true to myself?” she asked. After a bit of soul searching, she decided on a career change. Being a real estate agent, she would be able to serve others and to make the time she needed for her family. Remembering her own experience buying a home, it was important that Katie put in the up-front investment in building a relationship with her clients, and listening to their dreams, hopes and challenges. After the birth of their second daughter, Michaela, she and Thomas decided that they needed to move back to California. Though they loved their life in Colorado, they knew their girls deserved to have a relationship with their grandparents and their great-grandparents. And after moving back to Napa, they welcomed their third daughter, Tessa. Susan Epstein’s appreciation for real estate began at an early age while admiring the architecture of San Francisco. 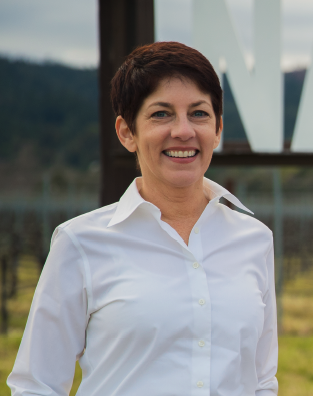 In 1989 her mom and stepfather bought a home in Napa, this is when she enthusiastically explored real estate of the Napa Valley on the main streets and back roads. Susan began her real estate career in residential leasing, eventually transitioning to sales. Susan grew up in San Francisco where she developed a sense of independence early on by learning how to get anywhere via public transportation while in sixth grade. Susan graduated from Drew College Preparatory School and went off to University of Maryland graduating with a degree in Art History. Her earlier professional career as a corporate trainer in the hospitality industry allowed Susan to perfect her customer service and listening skills. Additionally, she taught English in Mexico for 2 years which helped her with patience and understanding. These skills naturally segued into teaching clients the nuances of buying and selling homes. With similar focus, ideals, work ethic, and passion, Katie, Susan and I have been able to help scores of families will all types of real estate needs. If you work with us, it’s important that you know us. We believe that if you feel the way we do—that you are much more comfortable doing business with people when you understand how they work and why they’re in business. We want you to pick a real estate agent that’s the right fit for you and we would never be upset if you choose someone else as your agent. Even if that’s not us, it won’t risk our friendship.